Get this special NAIDOC Week bundle and save more than 12% off the regular price. a poster how to fight racist people and remarks, ideal as a reminder for students or staff that racism is not on at your work and study place. You'll also get a free bucket & action list that you can challenge your mates (or yourself) with over the next couple of months. It encourages you in a quirky and humorous way to learn about Aboriginal culture by watching movies, reading books or participating in events. 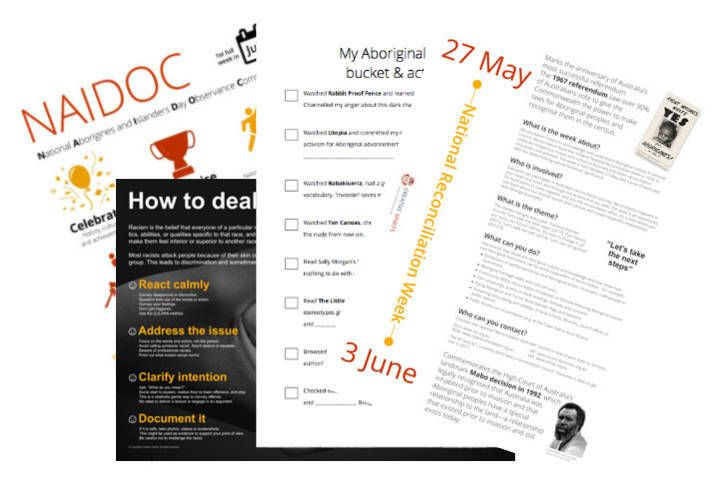 Ideal to follow up on this year's Reconciliation Week theme of "Let's take the next steps".